31ST JULY 1917: BERTIE HIBBETT’S ARMY CHARACTER: ‘SOBER, RELIABLE & INTELLIGENT’. ARMY FORM B. 2067 Serial No A90. Front Page Transcript: CHARACTER CERTIFICATE of 200425. Private. 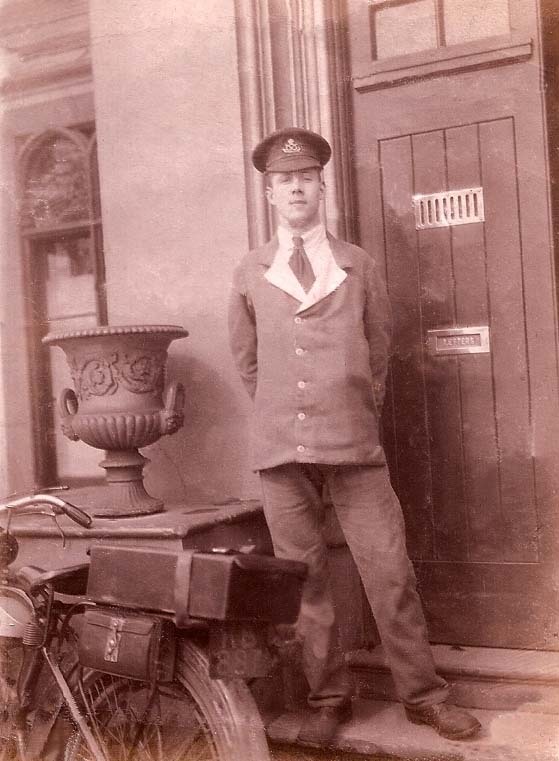 A. H. Hibbert (1), 5th South Staffordshire Regiment. Born in the Parish of St Augustus (2) near the Town of Nottingham in the County of Notts. on the 12/7/95. Trade as stated by him on enlistment: Mining Engineer (pupil to). Height 5 ft 7¼ in. Identification Marks:- Complexion Fresh. Eyes Brown. Hair Brown. Signature of Soldier: A. Hubert Hibbett. * To prevent impersonation. In the event of any doubt arising as to the bona fides of the bearer, the above description and signature should be carefully compared with present appearance and handwriting. Back Page Transcript: PARTICULARS OF SERVICE. Date of Enlistment 2.9.14. Due for final Discharge 31.7.1917. Cause of Transfer or Discharge: Being no longer Physically Fit for further War Service. Campaigns, Medals and Decorations: Home: 2.9.14 to 4.3.15. France: 5.3.15 to 5.7.16 (5). Home: 6.7.16 to 31.7.17. The Character here given is based on continuous records of the holder’s conduct and employment throughout his military career. This is to certify that 200425 Pte A.H.Hibbert (sic) has served with the Colours in the 5th South Staffs Regt for Two years 332 days during which period he was very sober, reliable and intelligent. Previous to enlistment he was a student of mining engineering and served three years of his apprenticeship with C.F. Nightingale, Mining Engineer, Walsall. He now desires clerical work at Lichfield, and his services can be recommended. Signature. H. Harper 2/Lt for LIEUT COLONEL COMMANDING OFFICER 1/0 TERRITORIAL FORCE RECORDS-LICHFIELD. Date 31st July. If further particulars as to his character and record of service are required within three years of above date, apply to * . 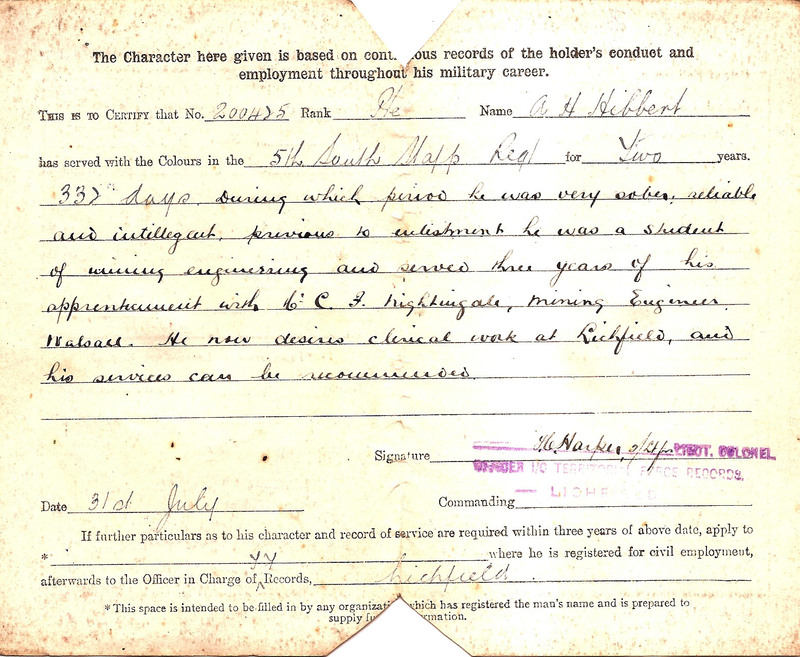 . . where he is registered for civil employment, afterwards to the Officer in Charge of 77 (4) Records, Lichfield. *This space is intended to be filled in by any organisation which has registered the man’s name and is prepared to supply further information. 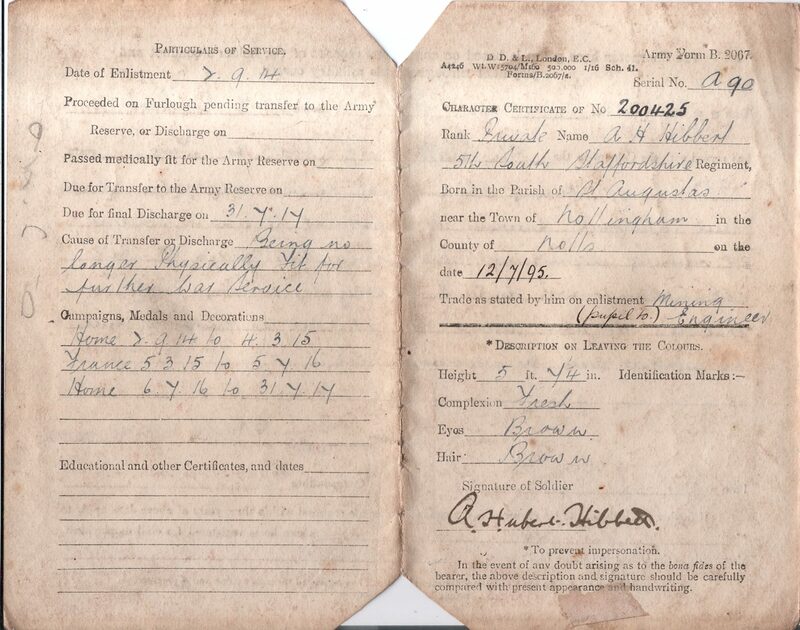 (1) In spite of the Certificate’s warning re- prevention of impersonation, 2nd Lieut. H. Harper once again mis-spells my father’s name & fails to check it with his signature. cf. Discharge Certificate previous Post: 12.07.1917. (2) ‘St Augustus’. Second error. My father was born in the Parish of St Augustine, Basford, Nottingham & was most likely christened in St Augustine’s Church, built 1895 – demolished 1989. In WW1 a curate, the Rev. Theodore Bayley Hardy (schoolmaster Nottingham High School) volunteered as a padre at 51 yrs. He never fired a shot but won the VC, DSO & MC for outstanding gallantry, helping wounded & dying soldiers at the Front. He died of wounds 3 weeks before the Armistice. 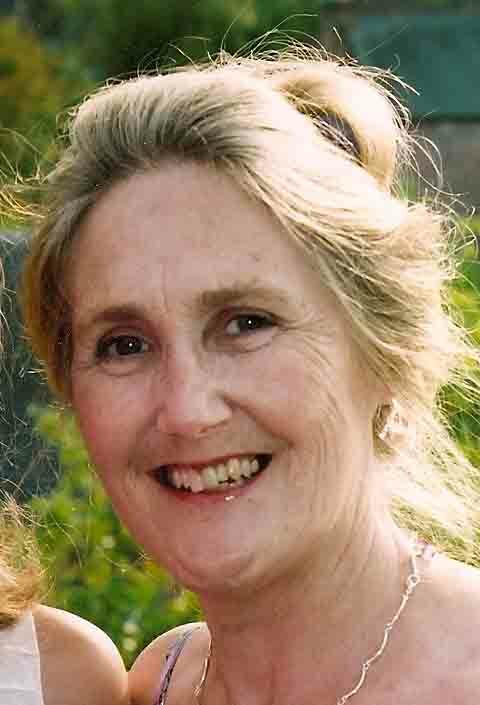 Website: Southwell & Nottingham Church History Project. 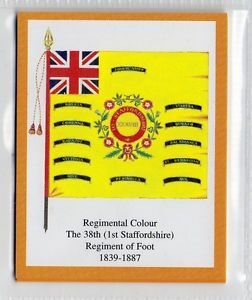 (3) Colours are the symbol of a Regiment. History goes back 5000 yrs to Egypt. Formalised in Mediaeval times, colours were ‘the identifying battle-flags carried by regiments to show where their respective armies should rally in time of battle’. Staffordshire Regt. Colours are Green (Red &) Gold. Size 6’6″ x 6′ now reduced to 3′ 9″ x 3′. wikipedia. (4) ‘77′ or ‘YY’ Records ? (Difficult to decipher). (5) Date 5.7.16: evidence that 5 days after being wounded 1st July 1916 my father was transferred Home from Hospital at Le Treport, France. See Hibbett Letter 19th July 1916. Post Card: Treport-Coteaux et Trianon Hotel turned WW1 Hospital. A nurse had written the Cenacle address at top. NEXT POST: 11th NOV 1918. ARMISTICE Day in LICHFIELD. 11th Hour, 11th Day, 11th Month – Bells, Flags & Cathedral Thanksgiving. Armistice Day Lichfield Cathedral 1918.Character Certificate on DischargeParish of St Augustine BasfordParticulars of ServiceRevd T.B.Hardy VC DSO MCSouthwell & Nottingham Church History Project.Spelling of Names.Staffordshire Regt Colours. Previous Post13TH JULY 1917: Pte BERTIE HIBBETT IS DISCHARGED THE ARMY ‘BEING NO LONGER FIT FOR WAR’.Next Post11TH NOV.1918: ARMISTICE DAY: LICHFIELD CATHEDRAL THANKSGIVING, FLAGS, BELLS & A DREAM COME TRUE.